Scientific research has shown that the most beneficial meditation technique is TM® (Transcendental Meditation®). The striking reduction of stress and anxiety caused by TM® is 3 to 4 times greater than the effect of other meditation or relaxation methods. - Scientific American (226, 1972). The first research was made by two medical doctors from Harvard University, Herbert Benson and Robert Wallace. It was conducted on dozens of Americans of all ages and races. Later, a lot of research was made by several doctors and scientists, who wrote articles on important scientific journals such as International Journal of Neuroscience, Journal of Clinical Psychology, Psychosomatic Medicine, Electroencephalography and Clinical Neurophysiology, and many more. Around 1995, Dr. Deepak Chopra created the primordial sound meditation®, that is very similar to Maharishi's TM. Unfortunately Maharishi's TM and Chopra's techniques are very expensive: the price of TM is prohibitive ($2500.00). Chopra's meditation is also expensive ($325.00 or more). Further on, a mystical atmosphere has been sorrounding the TM technique for years, and the Maharishi's organization deals with strange projects that most people don't understand. This has prevented TM to be appreciated as it deserves. TM is a simple, precious, effective technique that can help anybody to enhance creativity, intelligence, memory, to live better and reduce or remove stress, anxiety and other disorders. In 2003 a former TM teacher, Raymond Harrison, created the Natural Stress Relief© technique, that can be learned for $25.00 only. This technique is similar to the original TM (taught by Maharishi in 1958), with a single basic syllable or "mantra" suitable for anybody (around 1970 the TM organization changed the TM technique and started to prescribe different "mantras"). The Natural Stress Relief© technique has shown to be as effective as Maharishi's TM® and 3 to 4 times more effective than Benson’s relaxation response, Schultz' autogenic training, self-hypnosis, and different meditation techniques. The creator of this technique, R. Harrison, has taught TM for years and has been charmed by the changes in EEG patterns during the practice of TM. He studied these EEG patterns in physical terms with another TM practitioner and physicist, F. Coppola. Harrison said: It's incredible that doing something so simple, for a few minutes every day, such results are achieved. So he created a technique that is even simpler than TM and can be learned through a short home study course, even though it preserves the effectiveness of Maharishi's TM. 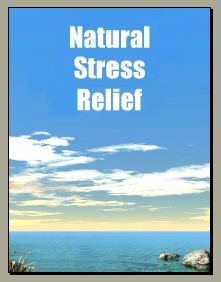 This is the Natural Stress Relief home study course that you can purchase for $25.00. Harrison and Coppola were surprised by the high effectiveness of TM compared to other techniques. This has been shown by 2 meta-analysis that confronted more than 100 independent scientific works (Journal of Clinical Psychology, 45, 1989; and Journal of Social Behavior and Personality, 6, 1991). Harrison and Coppola understood that TM establishes a natural resonance phenomenon in the nervous system, which can be considered a physical system crossed by electrical signals. This resonance is determined by a periodic signal, created by a special sound in the mind, which, starting from the brain, spreads out to the entire nervous system. Whoever is expert about resonance phenomena in physics, knows that they may create striking effects. Actually this resonance is able to “clean up” the nervous system, eliminating what in physics would be called “residual background noise”, and that in psycho-physiological terms appears as “stress”. Unfortunately, this connections between physics, physiology and psychology is not well known among scientists, but it has shown to be able to explain the effectiveness of this technique. significant EEG changes, showing an increase of slow alpha waves (8 or 9 Hertz) and a spreading of alpha and theta wave activity to the more central and frontal areas of the brain in a synchronized and coherent way. In 1975 Dr. Benson created his own relaxation technique, that is described in his book The relaxation response (HarperCollins, 1975, 2000), a best-seller that sold 5 millions of copies since 1975. Benson claims that his technique achieves the same results as Maharishi's TM. However, the actual results achieved by TM are 3 to 4 times greater than those achieved by the relaxation response technique, as shown by further research (Journal of Clinical Psychology, 45, 1989; and Journal of Social Behavior and Personality, 6, 1991). Dr. Benson never practiced TM himself (Dr. Wallace did). Harrison and Coppola are TM practitioners and eventually were able to achieve the results that Dr. Benson tried to achieve. The Natural Stress Relief technique is even simpler than TM and can be learned at home.